Palm oil is Indonesia’s top exported commodity and has become a key economic drivers for the country. However, it has also been often associated with the loss of Indonesia's valuable forests. 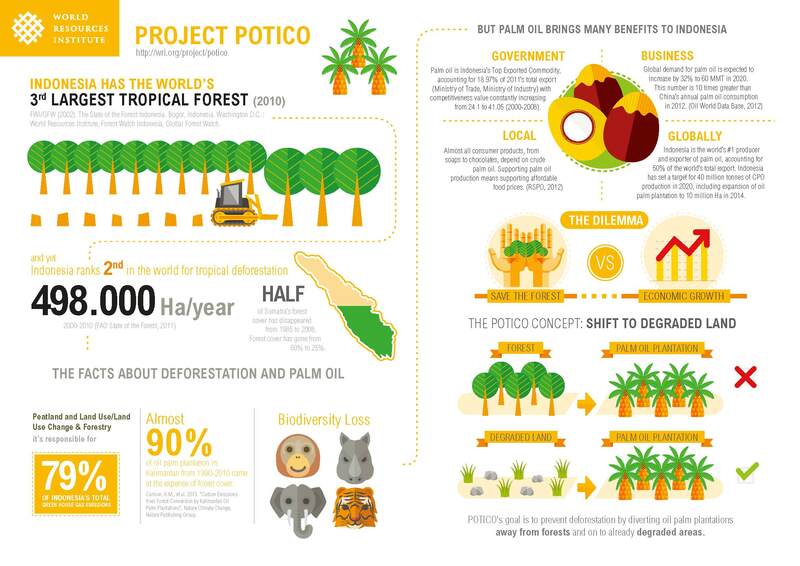 WRI’s initiative on forests and landscapes in Indonesia (also known as Project POTICO) uses novel mapping techniques and community engagement to help shift palm oil development from forested to already-degraded lands. Forests, communities, and businesses can all benefit from this more efficient use of land and natural resources. For more information, visit the Forests and Landscapes in Indonesia homepage.